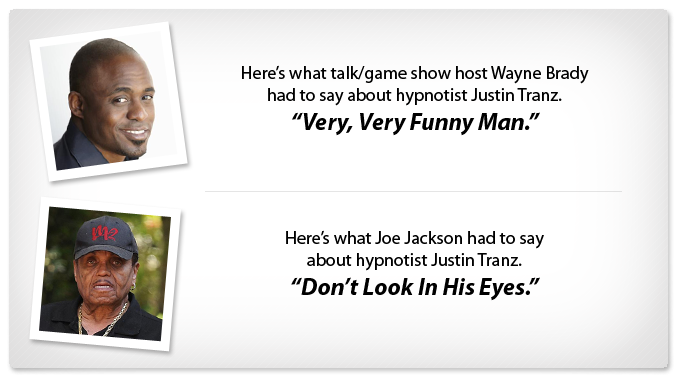 Although Justin’s love affair with hypnotism is entertaining audiences around the world, he also knows the serious side of hypnosis and the benefits it can bring into someone’s life. Through his seminars and personal sessions he has helped thousands with their battle to stop smoking, lose weight or build confidence. 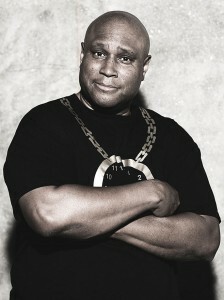 In addition, he has worked with medical professionals, corporate executives and professional athletes. Justin has worked with many professional boxers who he likes to brag are undefeated. In the summer of 2014, he was hired to entertain the NBA to demonstrate the power of the mind in requards to winning at their game on and off the court. 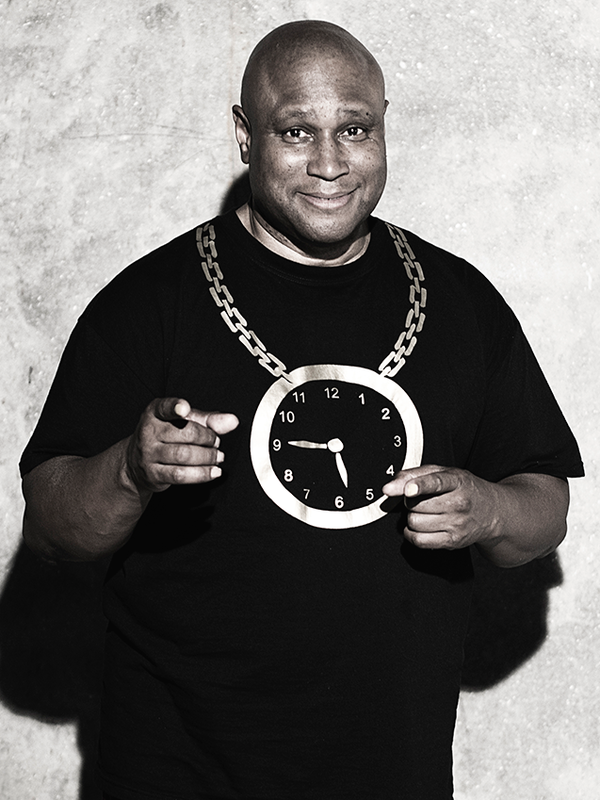 His mesmerizing demonstrations offer spellbinding entertainment, a unique message and incredible results. 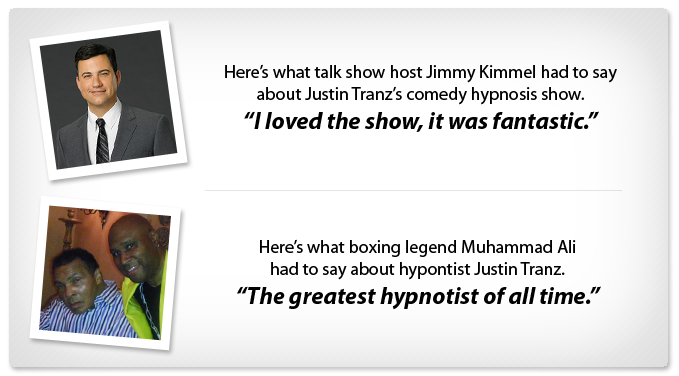 Thank you for your interest in Justin Tranz, he looks forward to meeting you! Your message is important and it is my desire to respond to you as quickly as possible with the most complete, accurate and helpful information possible. Any question you may have, please drop me an email or call me directly.